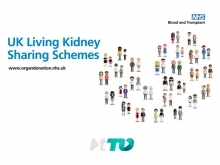 Transplant TV is an online channel, for medical professionals, patients and carers, that shares scientific and medical information and stories about organ transplantation. 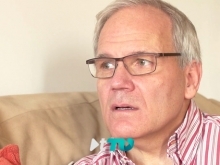 Transplant TV is an online media channel, for medical professionals, patients and carers, that shares scientific and medical information and stories about organ transplantation. Transplant TV turns the conventional top-down approach of traditional media on its head. It combines the power of compelling, high quality video with social networks and self-generated content – ensuring that both medical professionals and the public can engage in new and important conversations in the field of transplantation. Transplant TV reaches into hospitals, laboratories, schools, universities, and scientific industries. It provides the knowledge and the scientific literacy needed to inform viewers about this vital area of organ donation and transplantation. With its global reach the objective of Transplant TV is to both promote the world class medicine carried out at the Institute of Transplantation in Newcastle but to also share new scientific findings and best practice across a global network of transplantation professionals. Transplant TV is based at the Institute of Transplantation, Freeman Hospital, Newcastle upon Tyne, which combines the clinical experience of Newcastle upon Tyne Hospitals NHS Foundation Trust with the academic and scientific contribution of Newcastle University.